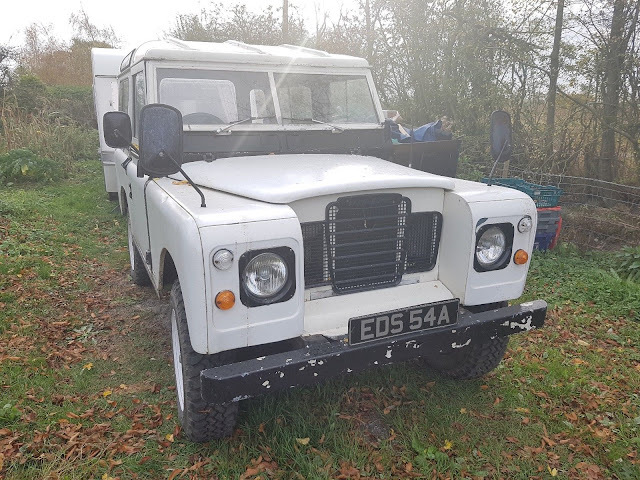 Sellers Comments - 1961 Series 2 Land Rover 88" on a galvanised chassis and tax exempt. 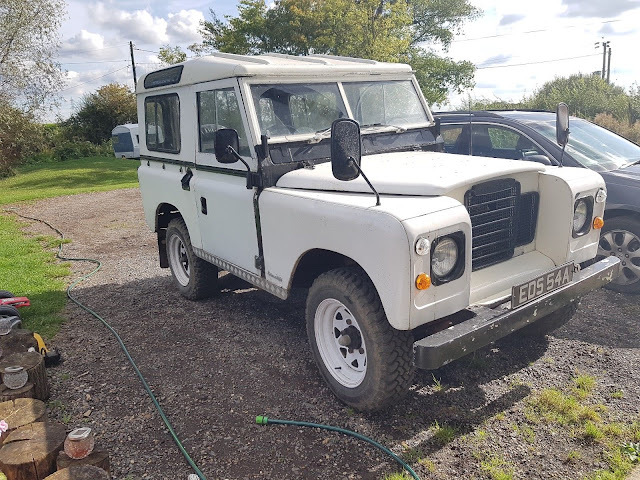 MOT 15th june 2018 The price is £3650 - so please don't message me saying you will give me £1500 for it im not in a hurry to sell it, and the longer I keep it, the more the price will go up :))) The chassis was galvanised by previous owner and at the time, they replaced it with the series 3 bulk head and soft dash. The car lived in Scotland at there holiday cottage and only done aprox 150 miles a year for the last 10 years. 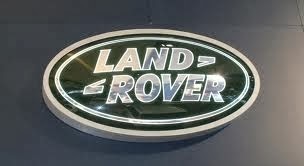 MOT's and Pictures to prove all this. 2 1/4 litre petrol engine with new fuel pump, plugs, points, cap, leads, rotor arm, coil he runs like a dream. A bit paint would have this car looking awesome, but I just haven't got time. there is holes underneath the bottom door hinges, I have brought a replacement panel for one side but not had time to fit. Its a proper shed to drive, so don't be expecting a showroom car, I'm sure you are aware you have to steer this car to stay in a straight line. and once you got the hang of the gears they are easy to find lol No seatbelt, no nothing if I'm honest - but every morning at the turn of the key and a bit of choke he starts. yes when it rains you get wet but just wear a coat. In the winter to keep warm don't rely on the heater to do this, it does blow out hot air but if I'm honest you get more hot air from a fart. In the summer the roof comes off and you look pretty cool driving it (writing this bit makes me not want to sell it) and it does put a smile on your face. Does come with back bench seat cushions and a box load of spares. Any questions please just ask. Serious buyers only, don't waste my time and I won't waste yours. 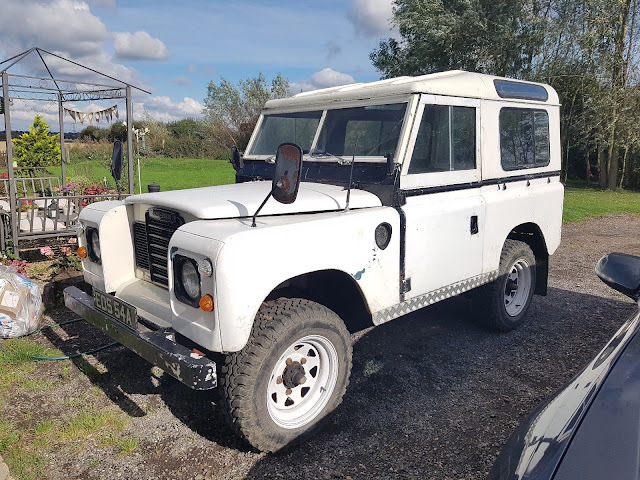 Cash on collection and the car is sold as seen (so don't be messaging me saying the interior light don't work a week after you buy it) Car is in Braintree, Essex you are welcome to come and view.